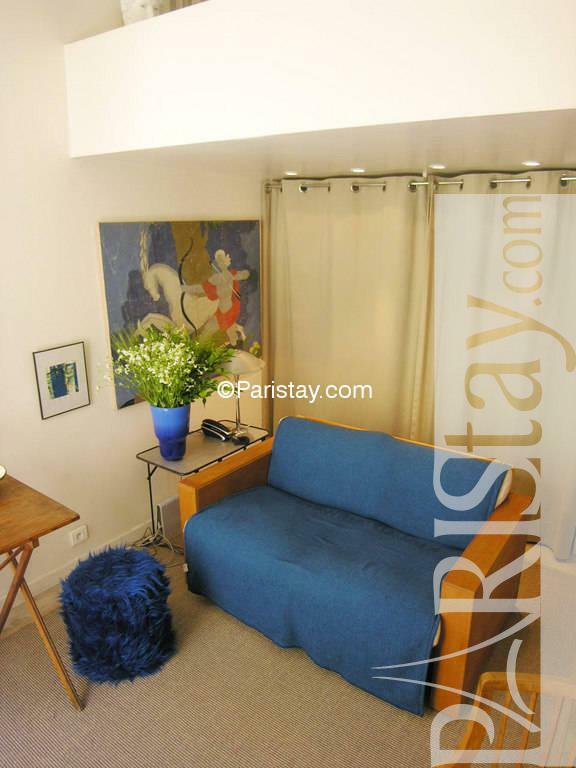 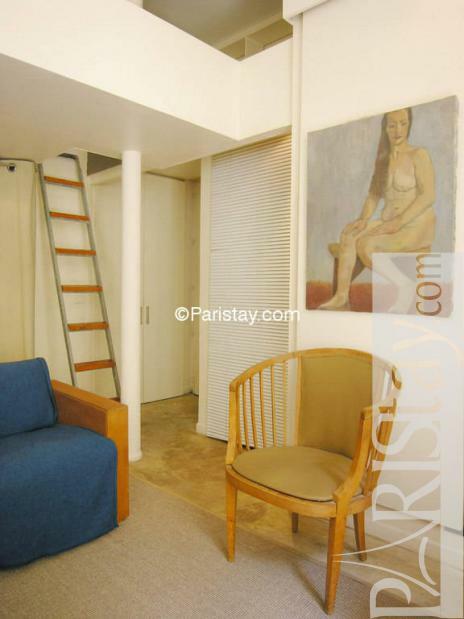 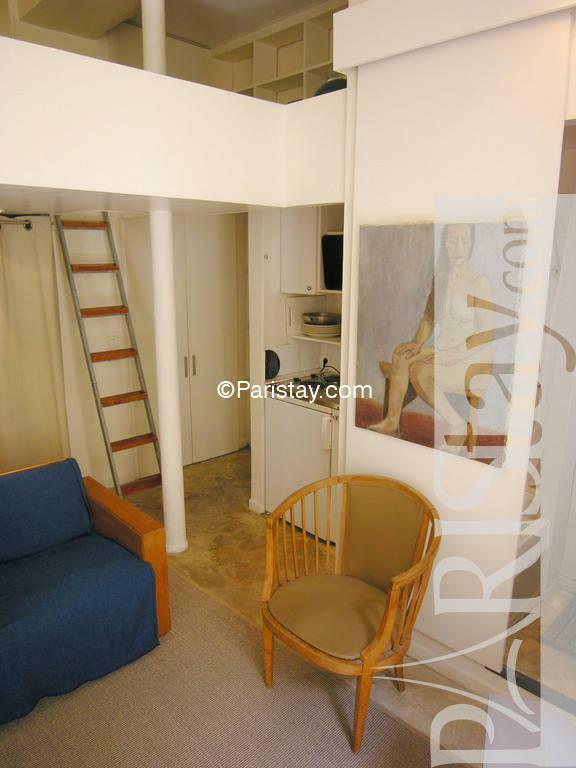 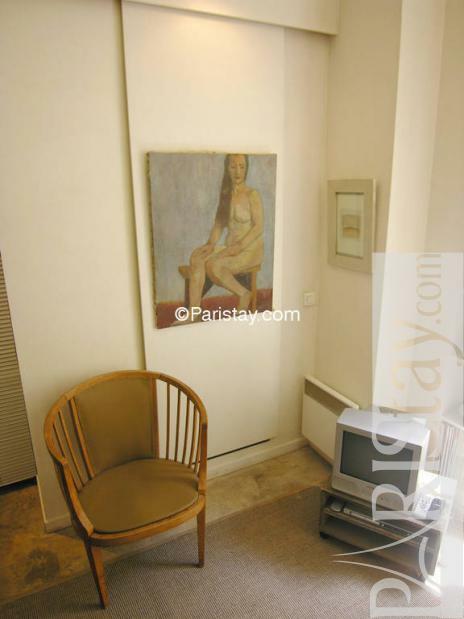 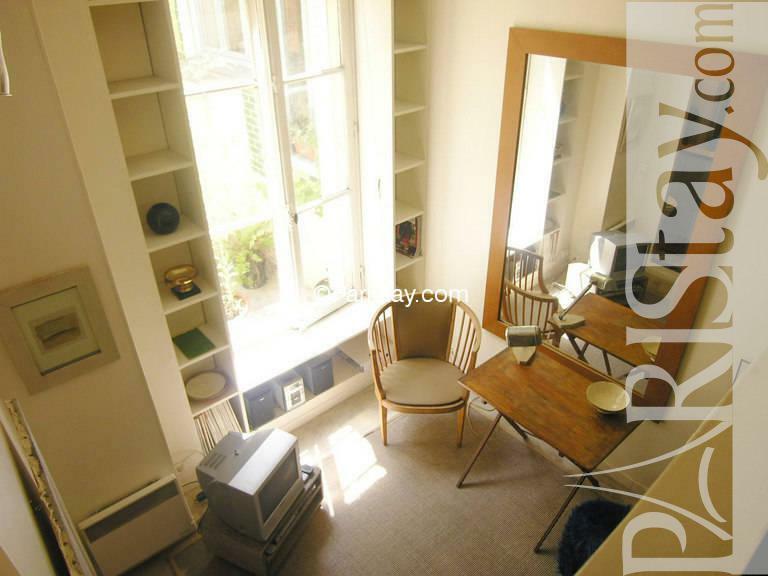 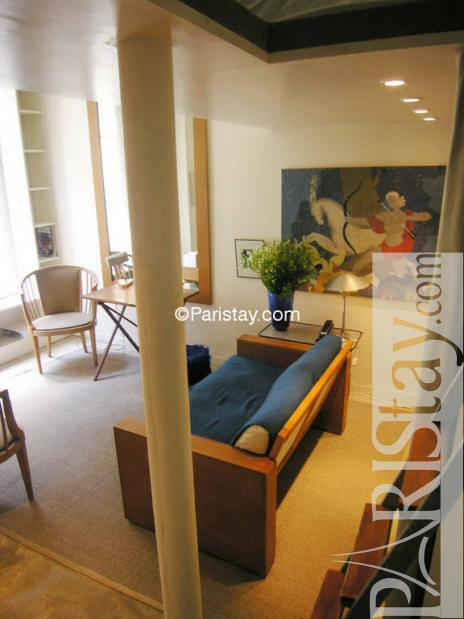 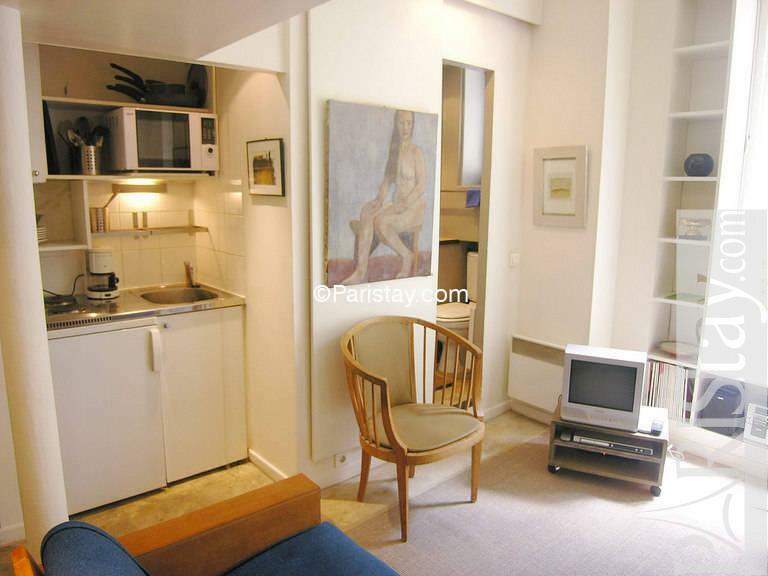 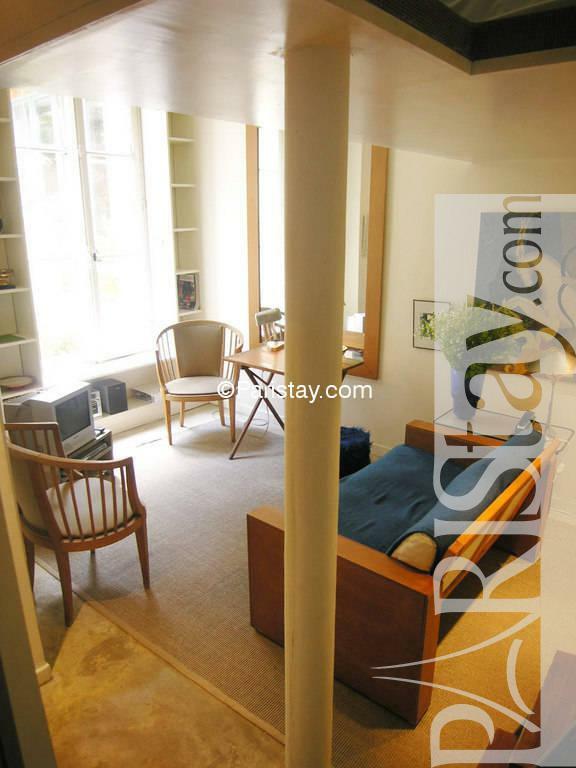 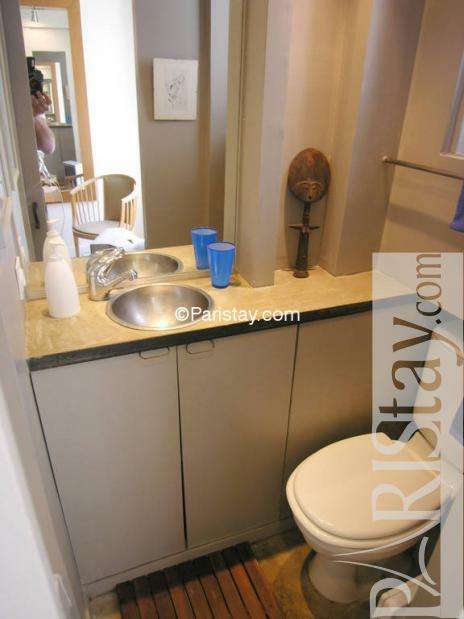 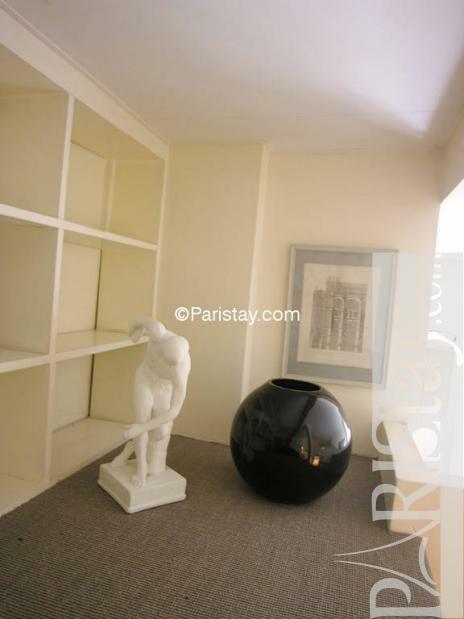 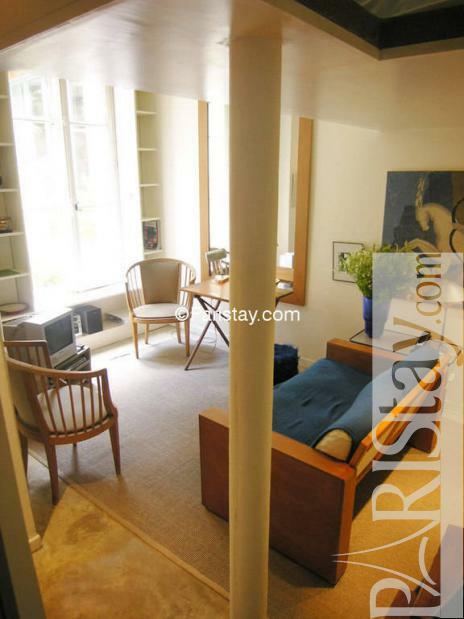 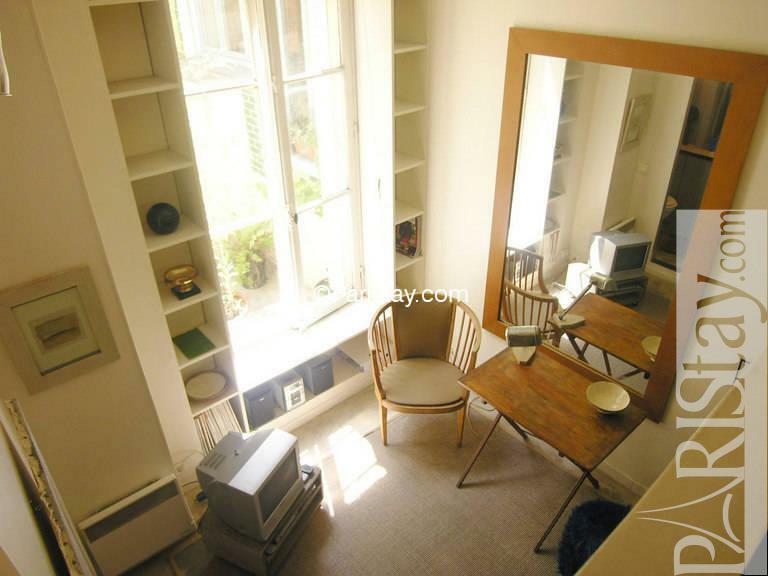 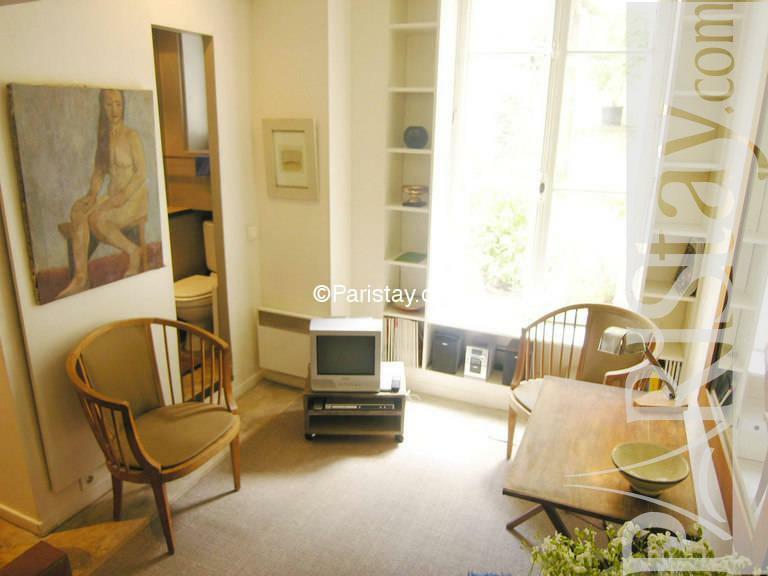 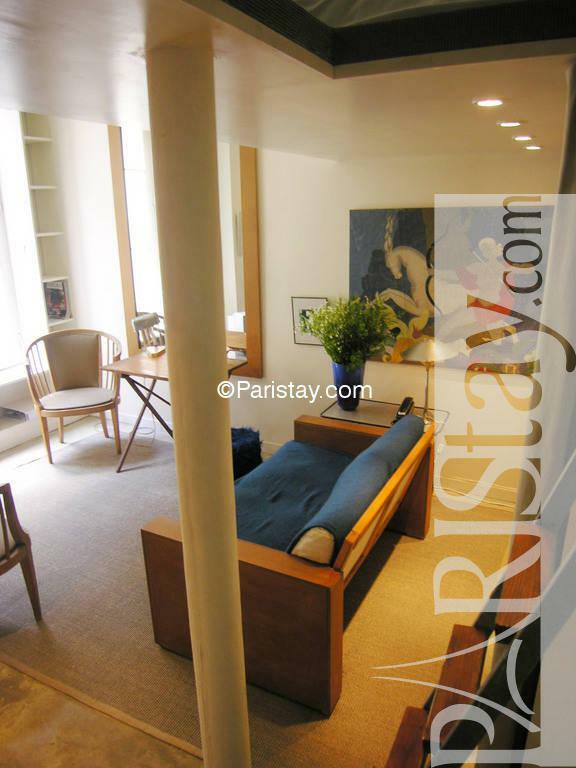 Lovely studio apartment in Paris with mezzanine, furnished to a good standard: sofa, armchairs, large mirror, bookshelves, coffee table, paintings, TV, DVD Player and Hifi Stereo system. 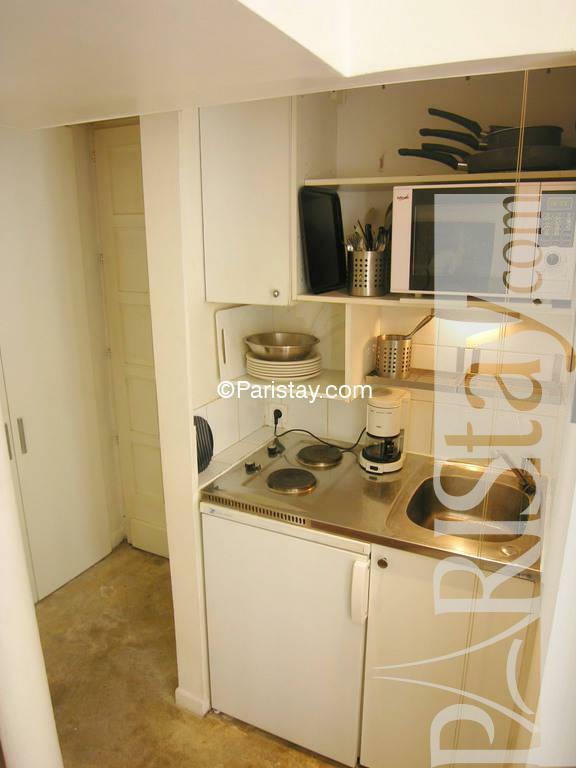 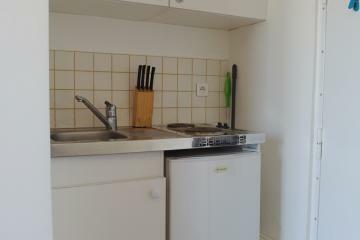 Kitchen area with microwave oven and electric hobs. 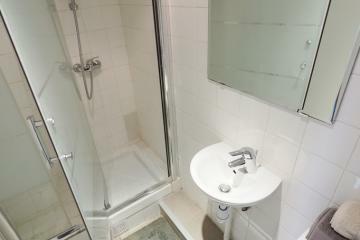 Little bathroom with shower. 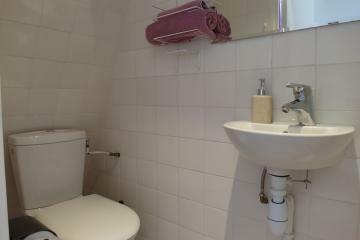 This apartment is located in the 11th arrondissement, good shopping nearby, within short walk to cafes, groceries, bakeries, fruits and vegetables market (on 'Boulevard Richard Lenoir', laundromat and post office, several metro stations on different lines making easy to get around Paris. 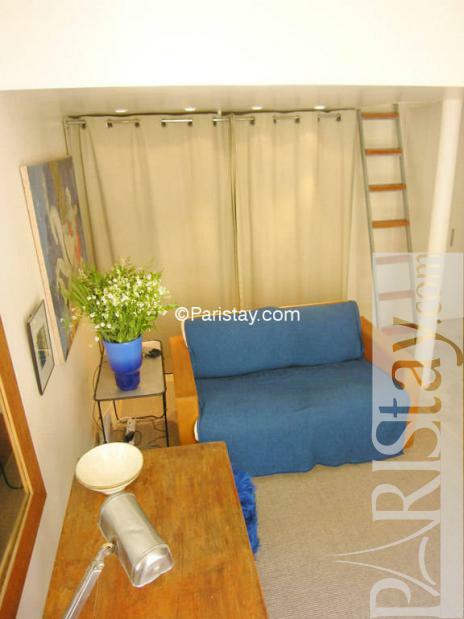 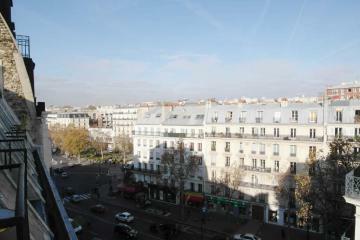 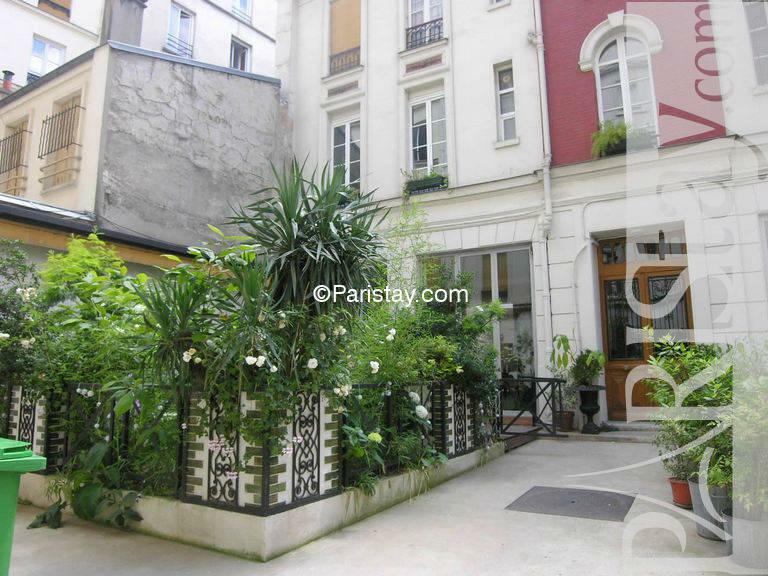 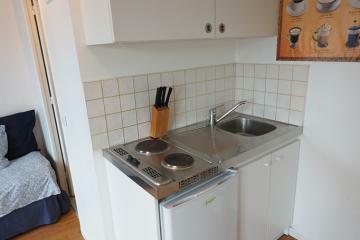 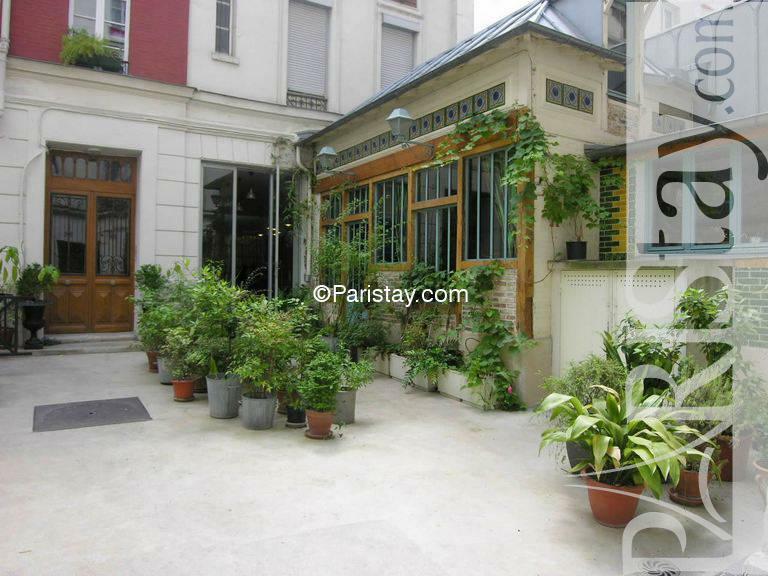 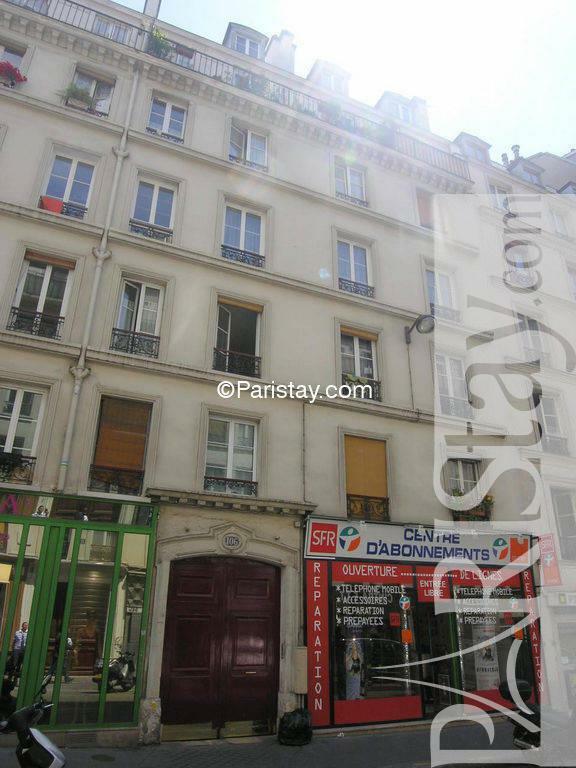 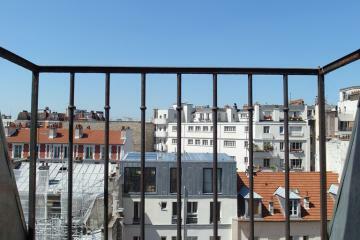 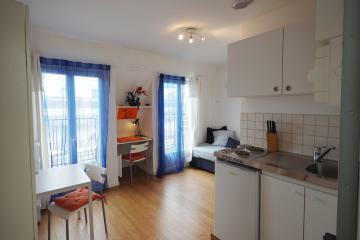 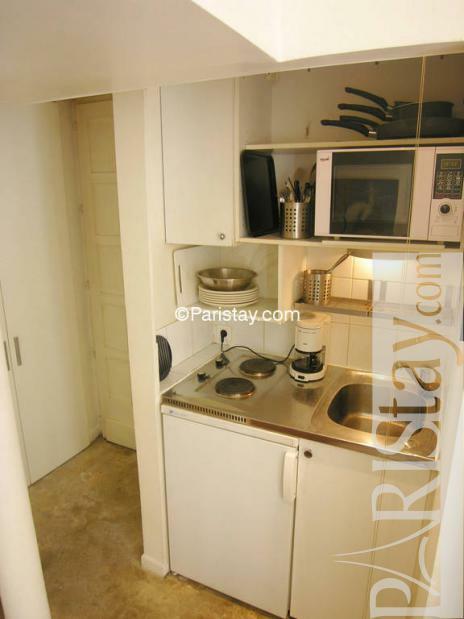 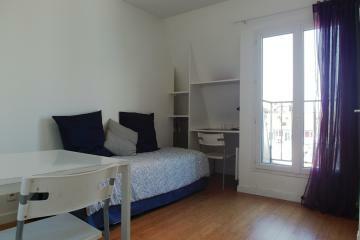 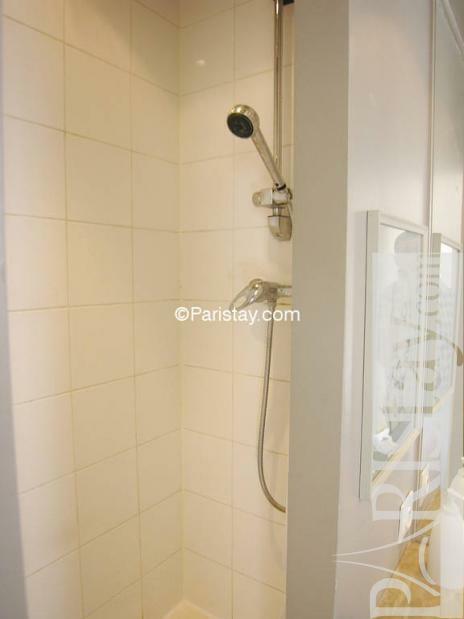 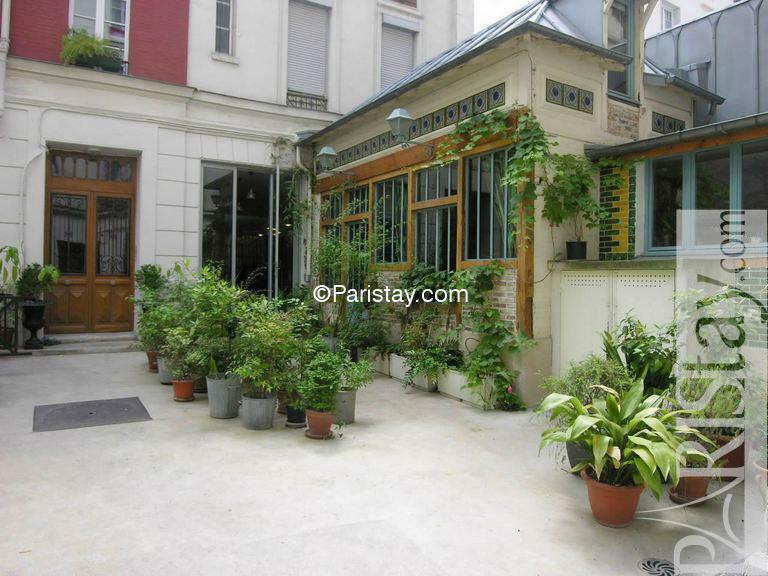 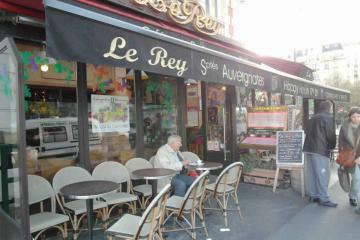 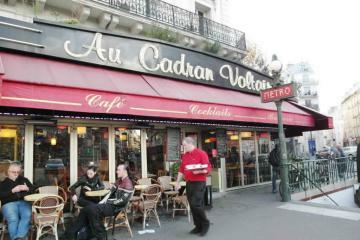 Perfect for short or long term rentals in Paris. 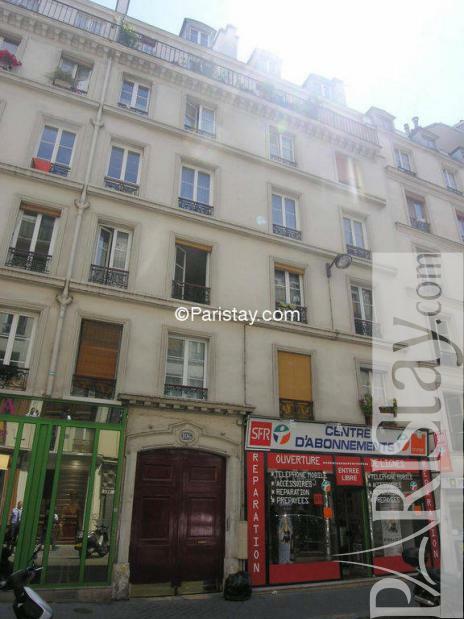 1900's Building, ground floor, without Lift, entry code security system, Student studio Appartement, furnished, Approx: 20m² / 215 Sq.Ft.